The reason why liberal analysis of the extreme ( fascist ) left always fails is because liberals refuse to say the words “anti-white racism”. The fascist left ( comically referred to as the ‘modernist left’ in this conservation ) is increasingly fuelled by the resentments and racism of non-whites. Until ethnic minority racism is factored into the equation, then all attempts to understand the fascist left ( or whatever you like to call them ) will miss the target. Hafta listen to that a few more times to get all the meat out of it. As to how we got to this point, there are no doubt many vectors, but my favorite candidate is that, however important the other various social currents may be, the essential thing is to follow the money. Cui bono? Who would benefit from the fragmentation of society and the destruction of the common moral framework once shared by the Christian West? (Notwithstanding that ‘we’ very often failed to measure up to that standard, we at least knew what we were failing to measure up to.) I suggest that the beneficiaries are the global mega-rich — the ‘Davos people’ — and that the SJW academic leftie types are in fact their paid flunkies whether they know it or not. Their useful idiots, if you will. Follow the money. Who subsidizes the universities? Interesting point with regard to cui bono. While I don’t take the position that some nefarious conspiracy of bad actors is behind politics, it is an interesting thing to contemplate. What are the benefits that flow to societal elites as a result of politics? Further, I find it very interesting and frankly telling that academics seem to be reluctant to to apply economic or cost/benefit analysis to politics in a more general sense. For example, if very average John Doe contributes one hour of time or one dollar of resources in politics, then what is the expected payback? It’s my contention that the payback is very low indeed and quite possibly negative. Yet the idea that politics results in beneficial ends for society is believed with an almost religious fervor. Probably some of the poison flows thru politics, but it seems to me that the brilliance of the strategy is that it mostly bypasses politics. The elites, by funding the universities, are in direct control of the task of rotting out our culture. Probably too simplistic of course, but I suspect that this is part of the stew, anyway. Why do we call it the “social justice movement”? Claire Lehmann recently said that she refused to call those masked terrorists “antifa,” and I think she is right — they are usually more fascist than the people they attack. Why do we call it the “social justice movement” when they deny civil liberties to so many and either refuse to be empirically responsible or can’t be empirically responsible? For the same reason we call it a “bowel movement”…. I would suggest that the former is a misnomer. How can a movement that opportunistically disregards civil liberties be called a “social justice movement”? Unfortunately, most people, even hardened opponents of the left, refuse to call them out. If the far left dropped a nuclear bomb they would still get away with it. People in conservative forums would label it a ‘modern progressive deployment of good intentions’. The player above has a 415 pixel-wide time bar. After clicking the link “Quillette talks to Dr. Eric Kaufmann and Ben Cobley” above the time bar, my browser loaded a page at the whooshkaa.com site, where, when the window was wide enough, the time bar was 896 pixels wide. This made it much easier to back-track and listen again to what I just heard, especially when I used Control + (Firefox) to zoom the bar even wider. I found the sound quality excellent and the discussion fascinating. For instance, in 2.5 minutes, transcribed below, I got a potted history of own-group self-hatred in the Bohemian Left spanning 1916 to the mid-1950s, and references to several more items to read. 21:30 TY [I think referring to Reihan Salam’s Atlanic article 2018-08-06 https://www.theatlantic.com/ideas/archive/2018/08/the-utility-of-white-bashing/566846/, which was mentioned in https://quillette.com/2018/08/17/a-closer-look-at-anti-white-rhetoric/%5D: “Racial self-flagellation for white people had become a kind of high status indicator – a way for high status whites to differentiate themselves and avoid anyone confusing them with low status whites. Low status whites would never engage in racial self-flagellation, so its a very clear way of signalling to other people not your virtue, necessarily, and its not necessarily a symptom of self-loathing – its actually a way of advertising to other members of the Brahmin Left class, to use Thomas Picketty’s term, that you are a member of their ranks, that you are a high status white. 22:10 EC: I think there’s a lot to that, and I tend to think this has historical roots. You can go back to the 1920s to eat well [??]. I think this begins with an essay in The Atlantic in 1916 by Randolph Bourne who was a Bohemian from Greenwich Village, representative of the youth culture of that time, modernism was just emerging. He wrote an essay called Transnational America [https://www.theatlantic.com/magazine/archive/1916/07/trans-national-america/304838/ , discussed by Jeremy McCarter 2017-08-13 : https://www.newyorker.com/books/second-read/the-critic-who-refuted-trumps-world-view-in-1916%5D. He said “What we need is for ethnic minorities to stick to their . . . for the Jew to stick to his faith and to maintain themselves and the WASPs, the Anglo-Protestant group majority should kind of be the cosmopolitans, that they should kind of give up their . . . This was also in the context of the prohibition of alcohol in 1920, which was very much a rural and working class Protestant movement. There was a whole generation of intellectuals called the Lost Generation that were vehemently anti-puritan and derided the kind-of middle-American, still majority rural small-town, country. And that’s kind of the beginning of “You’re anti your own group”. So its “We want to dissolve our own group because we are in some way . . . ” and also “We’re less interesting than those African Americans with their jazz and the Greeks with their . . .”. Its partly seeing the exotic as wonderful and expressive and your culture as repressed and buttoned up. And that kind of influences through the Beats as well, except it now becomes . . . What happens is when the Catholic Whites merge into the Protestant whites, its no longer about being anti-WASP, it starts to become anti-White. So the squares vs. the . . . I think it was Jack Kerouac who was living amongst the Mexicans, and said how great it was. Now of course he is derided as cultural appropriation, but back then he was very radical. So that kind of sensibility was already there, just on a scale which was so much smaller. When they become dominant, that’s when you get the taboos. You can’t enforce a taboo when you are just a minority. 24:20 BC: In “The Tribe: The Liberal-Left and the System of Diversity” the Liberal-Left I write about is an overseeing class. One thing which distinguishes it insofar as its white people we are talking about, in this machine, white men, what distinguishes them from the working class is that they oversee – that this is their purpose in life. They go to events, they write articles and they go to the pub and discuss what society should be. And I think this is a crucial distinction between what they do, how they look at the world and themselves in the world and what the working class does. How they are addressing the world and relating to the world through identity and through favouring favoured groups is basically impossible for [white?] working class people. They [the working class] by definition, almost, are not overseeing what goes on in society. And plus, obviously, they are competing with a lot of the groups, for housing and for jobs, that they are meant to be favouring – if they were part of this Liberal-Left tribe. US, 1948-2017) March 2018 http://piketty.pse.ens.fr/files/Piketty2018.pdf . So having alienated many of the established working class, by favouring a bunch of groups who are competing with them (immigrants of other races, cultures and languages, who compete for jobs, housing and government support – or other already-resident non working class minorities who therefore are accorded a lot of government fuss, protection and funding – the Left, or what passes for it in the USA, finds that it is unelectable, and that the cosmopolitan, Brahmin-class Remain policy is thwarted at the polls, leaving government open to more conservative politicians, or in the case of Trump, reality-TV stars who sometimes tell truths which are taboo for politicians: Castigating Trump for Truth-Telling, Robert Parry, February 2017: https://consortiumnews.com/2017/02/07/castigating-trump-for-truth-telling/ . The slug for this posting is, as usual, too long, because the great Quillette has not learned how to edit a slug in WordPress. Or to edit. You don’t have a “podcast” unless and until you set up an RSS feed and publish the link to it. It’s up to you to become technically competent. We managed it fine. 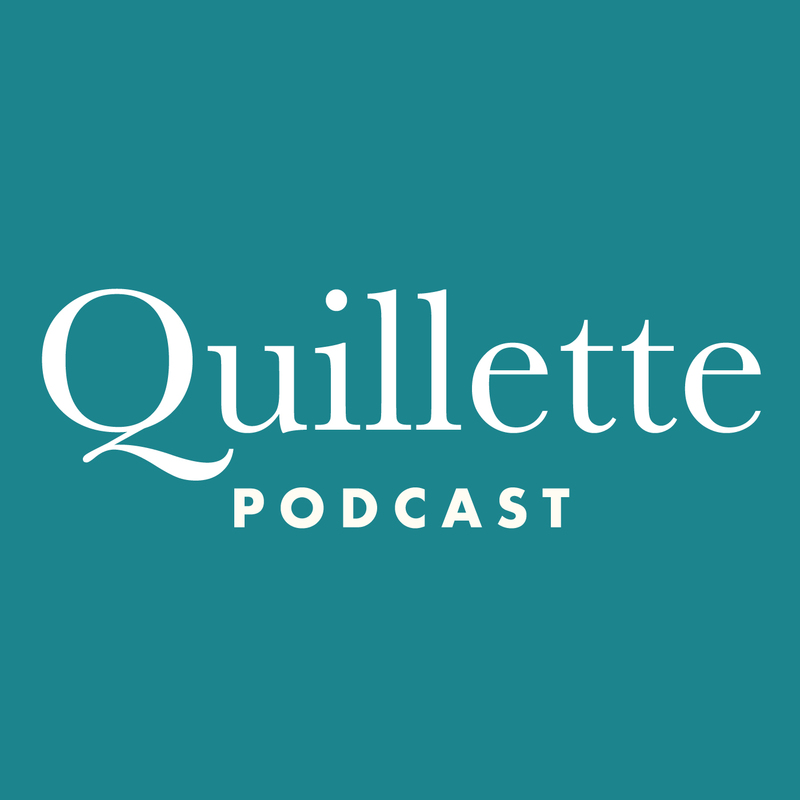 Have you tried searching for the Quillette podcast feed from within your podcast manager app? Both Pocketcast and iTunes located it for me, and once I subscribed, each new episode shows up as it ought to. (sigh)… “fascist left.” Here is a term that not only illustrates the ignorance of the speaker, but also the simplistic close-minded parroting of extremist gobbledygook that has poisoned any reasonable attempts at discourse in America. At least look up the definition of fascist, don’t just parrot what you hear on Fox News, or Rush Limbaugh, or any other of the hundred right wing bloviating platforms that claim right-wingers have no voice in America. Okay, before I get on at 3 page rant, let’s see if we can have a reasonable discussion about only a couple of items I see in the comments here. First, @ Ray Andrews. Your ” common moral framework shared by the Christian West”, strikes me as a contrarian observation when talking about free speech in America. First, because Christianity, like every other major religion, has always sought to suppress any speech or idea that conflicts with its own teachings, and second, if you understand the society which gave birth to the idea of America, and are familiar with the history of pre-revolutionary thought in America, you must know that one of the major influences on all of the founding fathers was Thomas Paine. Paine along with probably Benjamin Franklin we’re atheist. Many of the rest including Adams and Jefferson were unitarians. The First Unitarian Church in America was founded by John Adams. Thomas Jefferson wrote The Jefferson Bible as a Unitarian text. This is why it was so important to the founders that there be a wall of separation between church and state. Morality comes from many places, and the ideals of America definitely do not come from Christianity. Second @ circuses and bread. I’m not clear what you mean when you say politics offers no benefit to the Common Man. Are you saying that government offers no benefit? Or that involvement in politics like voting offers no benefit? Are you possibly proposing that anarchy would be of more benefit to the greatest number of people? I’d also be interested in hearing how you would propose to do a cost benefit analysis of politics. Okay, enough for one post. Yes, because your well reasoned argument that contained the words ‘Limbaugh’, ‘Fox News’ and the completely original ‘riiight-wiiing!’ has convinced me otherwise. Obviously, the more left one goes, the more pure and moral one becomes. Stalin and Mao, for example, were beings of brilliant moral purity. Limbaugh!! Fox News!! Right wing!! For example, Jurgen Habermas and Irving Louis Horowitz. Habermas had political violence in mind, Horowitz totalitarianism. Enjoyed this, but the interviewer should NOT state with such certainty that we “know” from one Harvard study that police across America do not shoot blacks with more frequency than whites, due to racism. The study by Dr. Roland Fryer is just one sociological study. Others, including one from U.C. Davis, did demonstrate bias. I’m sure the left cites only those studies supporting its views, and the right theirs. What I want is Quillette to be more careful of its own biases.